Welcome to my resource page: a collection of tools, podcasts, books, communities, courses and more that have helped me get to where I am today or that I use in the day to day operation of my business. These are all things I've personally used and recommend to others. Before checking them out please know some of the links are affiliate links. This means if you click on them and decide to make a purchase I will get a commission. This commission comes at no extra cost to you. I have experience with all these recommendations and list them here because they've helped me on my creative journey & to get started in business. I hope you will find them useful as well! My go to for domain registration and hosting sites off the Showit platform. I love this platform so much, I based my business around it! A drag & drop website builder that makes any design possible without having to write a line of code. It's absolutely possible to have the website of your dreams with Showit. I use Dubsado to manage my entire client process, from contact form to project completion & beyond. 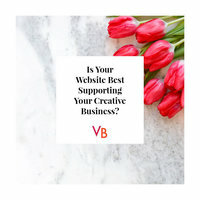 Your first 3 clients are free and use code vbcreative for 20% off your first month. My go-to place for organizing everything! An essential in the day-to-day running of my studio for email management, file storage, video conferencing with my lovely clients and more! My go-to place for learning anything creative - marketing, photography, branding, illustrating, typography, and social media to name a few. This started it all for me. 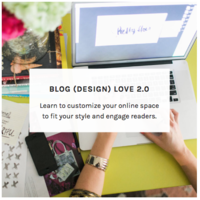 Their Blog (Design) Love 2.0 Course was my first introduction to branding and website building. 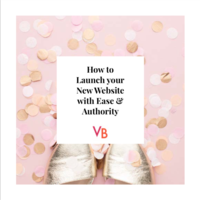 If you'd like to start a blog and want to DIY your website I highly recommend starting here. The course that taught me not only how to code but also how to learn to code. Technology is always changing. You won't learn everything about building websites in this course but you'll learn enough to give you the confidence and the resources to figure things out as you go. "Make your wild ideas mighty enough to dent the world". This book will make you want to take action! This book gave me the gumption I needed to follow my dreams. If all these stories of amazing lady bosses doesn't inspire you, I'm not sure what will! Debbie Millman, an influential brand strategist who I look up to and admire, runs the world's first podcast about design. If you are interested in creative culture at all, have a listen to her wide-ranging conversations with designers, writers, artists, curators, musicians, and the like. An amazing community of creative's that is so inspiring. I highly recommend their newsletter which is a must read for me every week. I found this Netflix original documentary so fascinating! Learn from the minds of the world's most innovative designers in a range of disciplines how design impacts every aspect of life. If you're starting a business, this one is a must read in my opinion! Learn about all the channels for acquiring customers - and how to find what works for you & your business. A podcast about what it's really like to start a business. I've been a loyal listener since season 1. I've been listening to Pat's SPI podcast for years and have so much admiration for what he's accomplished and all he stands for. If you want to learn about online business, start here. I did! As a Canadian entrepreneur, it's so hard to find Canadian based help with all things business. I discovered the New School through the Urban Worker Project Conference here in Vancouver and it was a huge help when tax time rolled around! Beautiful free photos - my go-to for all stock photography needs. While I love styling my own flat-lay's now and then, it's a lot of work. Shay at the SC Stockshop sells gorgeous photography, perfect for any website project. Shay's stock box photo subscription service which I've personally used and love. Her photos are minimalistic and stunning. Perfect for those that want to be present on Instagram while maintaining an on-brand grid. A free to use graphic design tool that's perfect for social media graphics and blog post images. The starter templates are already the optimal size. Just drag & drop your components onto the art board then export the finished graphics! The tool I use to plan out all my colour concepts. Warning - highly addictive if you love colour as much as I do! Receive free checklists, workbooks, product & service updates as well as blog posts directly to your inbox! 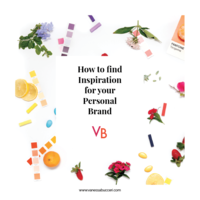 My gift to help you with all things branding & web design.